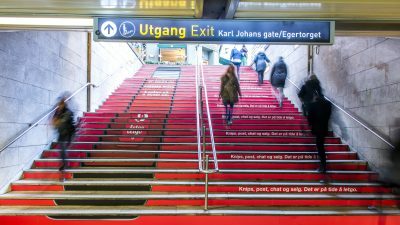 Stairs at Stortinget metro station, exit Egertorget. *Bottom stair step is 18 cm high. * Files can also be made in e.g 1:2 or 1:10. 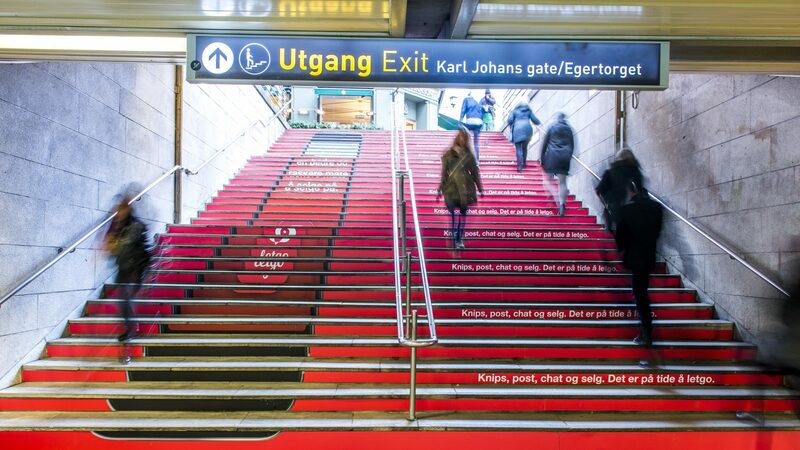 STAIRS, ADVERTISER, FORMAT and WEEK OF CAMPAIGN.